Taking a step back and reassessing your current internal communications plan & strategy is an essential part of building an actually successful new internal comms plan. That way you’ll be able to see which of your communications channels is performing the best. More likely than not, if you’re coming up short yet you’re putting in the effort, it’s because everything you’re doing is ad hoc and last minute, not so much based on a universal strategy or past metrics. You may think you’ve got it figured out already–you’re sending email, you’re running awareness campaigns, you’ve suggested Slack, you use social media–but if your efforts haven’t paid off, this could result in low employee engagement levels. 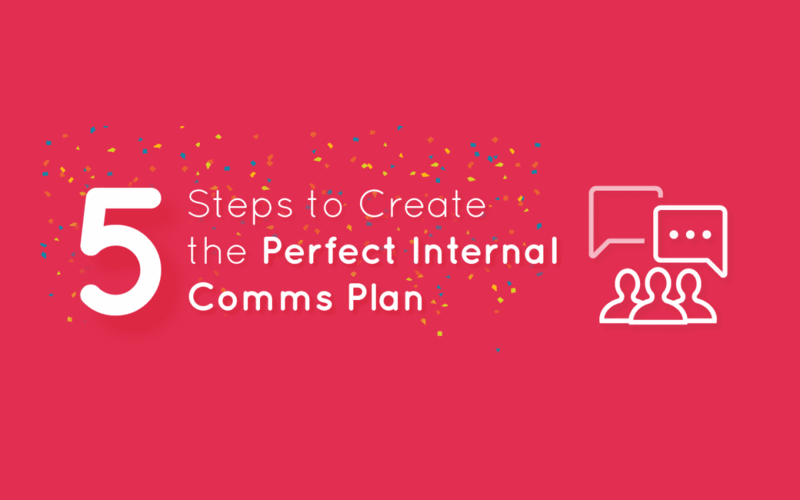 Coming up with a new and improved internal communications plan can seem like an impossible task, but don’t worry, we’ll show you how to create a successful and holistic plan to take you from OK engagement levels to game-changing internal comms results. Why do you need a new internal communications plan? According to Gallup, businesses with highly engaged teams experience a 20% increase in productivity. Culture IQ reports that companies with engaged employees perform 200% better that those without. Research shows companies that invest more in employee engagement were able to grow their company profits by $2,400 per employee per year! A case study by Standard Chartered Bank reported that bank branches with highly engaged employees attained a 16% increase in profit margin growth when compared with those branches experiencing low levels of employee engagement. Fabick CAT, was able to improve upon its industry net sales by 300% by focusing on employee happiness. According to the Gallup State of the American Workplace report, almost 70% of employees are disengaged at work, costing companies $450-550 billion every year. You probably had an internal comms plan in 2018 that you thought was going to work. Before you build a new plan, you need to assess your current plan, being mindful of its strengths, its weaknesses and how close it got you to your goals. Where are you right now? Did you get close to accomplishing your goals? At this stage you need to come up with a list of gaps and strengths in your program. Where do you want to be and what do you need to accomplish it? Start forming an idea of what it is that you want to accomplish and what you may need to get there: a bigger budget? an internal comms tool? More people in your team? Run an audit: Running a proper internal comms audit is essential to getting an accurate representation of the present state of your practices. We suggest hiring a consultant, since an outsider with fresh eyes will be able to notice things that you wouldn’t. Here’s how to run an internal comms audit from expert Helen Deverell. Run a survey: Using surveys is an effective and direct way to gather non-numerical feedback from your employees. 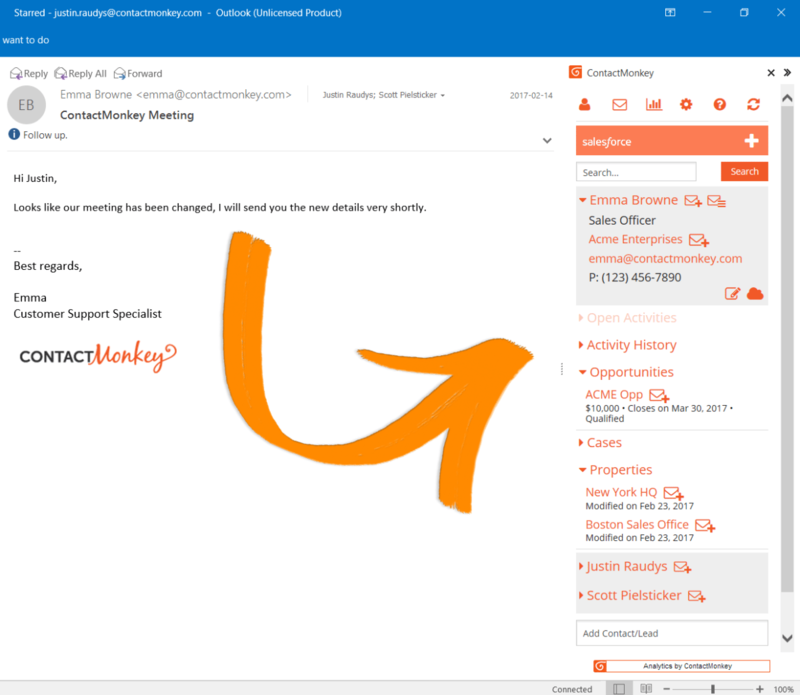 ContactMonkey offers a social reactions and pulse surveys, giving your employees the ability to love, like and laugh at any content you send them via email. Group Interviews (Sampling): Another effective way to gather qualitative feedback is to plan a group interview. Since it’s impossible to talk to everyone in a large organization, interviewing a group representative of all departments and levels will get you closer to a 360 picture of your organization. Gather Quantitative Data: do you have a tool to track your internal comms? If not, build a spreadsheet with metrics you’ll want to track in 2019–look at email opens, clicks, and social reactions, for example. Prepare a “before” picture of your employee communication: by preparing a “before picture” you’ll be able to then compare last year’s results to this year’s. What business strategies does the executive team and key stakeholders have in mind for 2019? Take note of any revenue targets, product roadmaps, talent goals, etc. By knowing your company’s big-picture goals you’ll be able to align your own communication goals to theirs. Additionally, when it comes time to sell your executives on a bigger budget or an awesome internal comms tool, they’ll be more likely to approve it if your goals align directly with theirs. “This may seem like a no-brainer, but it’s flooring how many companies don’t map department-specific goals back to overall company goals. We outline departmental goals that directly support our overarching company success. Request a meeting early on in the year with your executives to get a sense of goals for 2019 and how they see your department helping with them. Explain the importance of including you in conversations early. If there are big initiatives in early planning stages, you should be aware of them so you can communicate them with your team at large. Now that you know WHAT your company’s and your main objectives are for the year, it’s time to define HOW you will accomplish that. We suggest you use the OKR model to build your department’s strategy to accomplish your goals. OKRs refer to Objectives & Key Results and they are a proven method to make sure all of your actions relate directly to a bigger goal. Objectives are the qualitative goals. They are usually broad in their outlook and inspiring in nature. First and foremost, the objective should help in achieving the company goals and should be aligned with the corporate strategy. 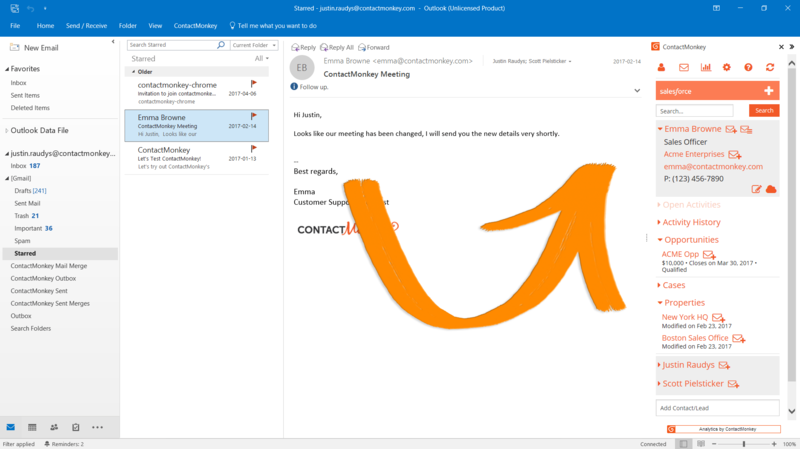 Is the objective broad in outlook? Does the objective help in achieving the company goals? Does the objective align with corporate strategy? Unlike objectives, which are broad and inspiring, key results are measurable and specific. They are the measurable indicators of how close you got to achieving your internal communications goals. Is the KR a result and not just another task/activity? Does the KR help in achieving the objective it belongs to? Is there a timeline identified for the KR? Does the KR belong to either a stretch or an operational goal category? Is the KR important enough to appear in the top 5 KRs for the objective? Objectives are ambitious and should feel somewhat uncomfortable. Key results are measurable; they should be easy to grade with a number (Google uses a 0-1.0 scale to grade each key result at the end of a quarter). OKRs are public; everyone in the company should be able to see what everyone else is working on (and how they did in the past). The “sweet spot” for an OKR grade is 0.6-0.7; if teams consistently get 1.0, their OKRs aren’t ambitious enough. Low grades shouldn’t be punished. See them as data to help refine the next quarter’s OKRs. As you’ve probably noticed, your high-level philosophy in 2019 needs to be to measure everything you can. Based on your OKRs you now know what to measure to keep track of your internal communications performance. Attrition rate: as you know, low employee engagement levels lead to talent leaving the company so measuring your churn rate per month or quarter is important. How to measure: by simple keeping track of how many people leave the company, you’ll be able to calculate attrition/churn rates. 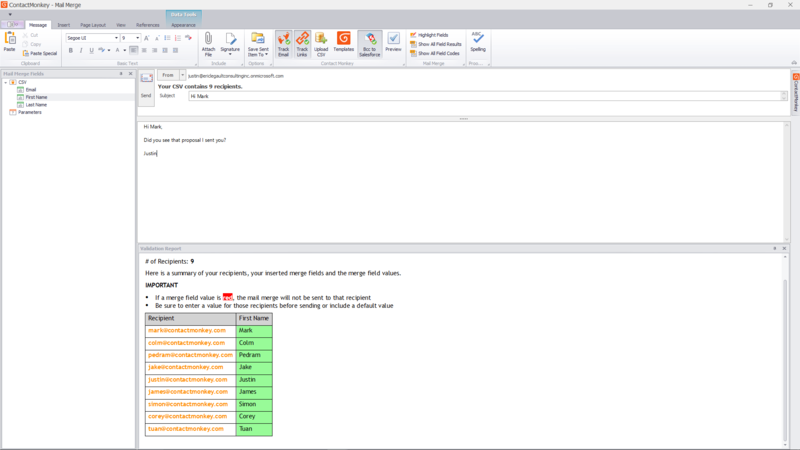 Create a spreadsheet that your other branches can edit with the most up to date information. Email Opens: opens let you know whether people are being informed and in the know of important company announcements. From a high open rate you can deduce that people received the information you wanted them to and that your subject lines are working. 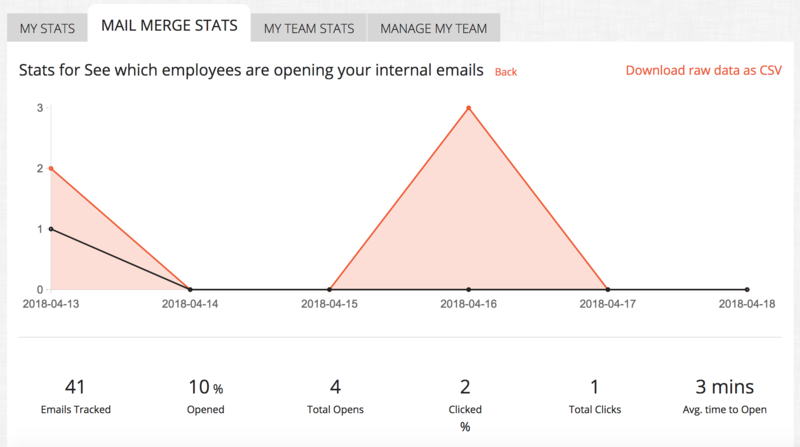 How to measure: With ContactMonkey’s Internal Comms plugin, you can measure email opens and see both individual and aggregate opens right from your inbox. Link clicks: By keeping an eye on link clicks you’ll be able to see whether your audience is engaged. A high click-through rate tells you that the content you’re sending out is relevant and let you identify any other audience preferences. 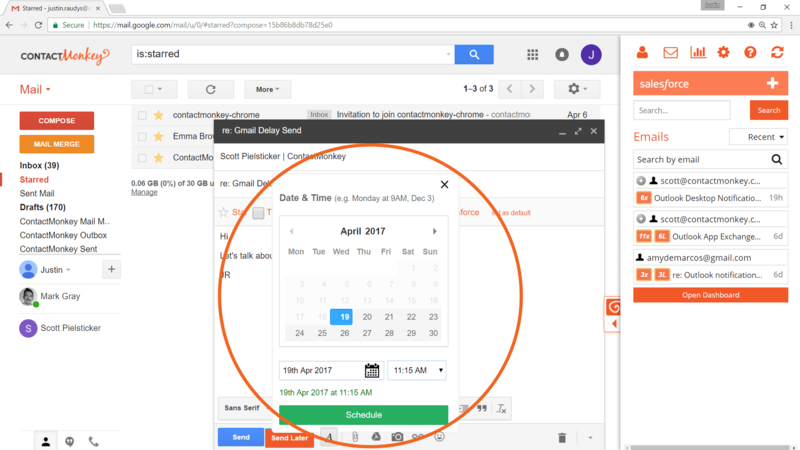 Location: modern tech like ContactMonkey’s Internal Comms Tool allows you to see beyond opens and click-throughs by showing you where your internal emails are being opened from, as well. Device: rate of email opens on mobile has grown 5X in recent years so meeting your audience where they are is extremely important. Feedback & Responses: If you aren’t already surveying your employees, now is the time to start. Surveys can be the best way of understanding what your employees have engaged with when it comes to internal communication. How to measure: We recently launched social reactions & pulse surveys for internal comms teams. 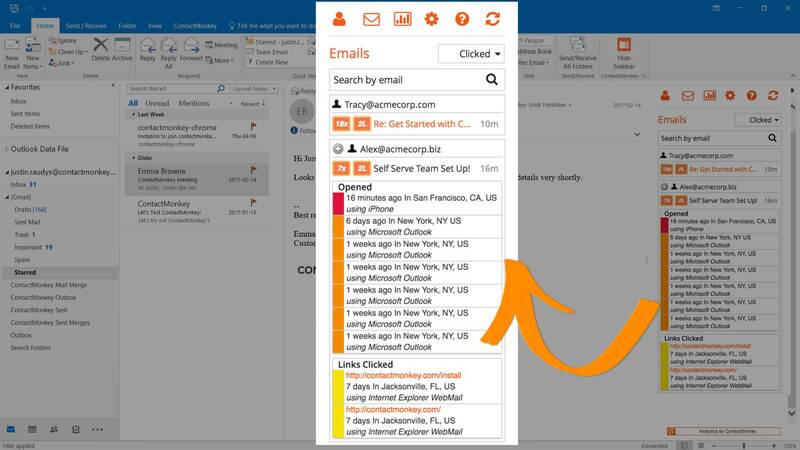 Now you’re able to add social reactions, pulse surveys, and more using your intuitive, drag-and-drop email template builder in Outlook. Collecting all of this data is a means to a very specific end: increase employee engagement, send better communications, and help the overall business performance of your organization. By tracking which content resonates the best in any given branch or location, you’ll be able to better segment your internal emails and increase engagement levels. The last thing to remember when crafting your 2019 internal comms plan is that everything can change as the year progresses, so you need to continuously update your goals and OKRs to reflect your team’s new reality. In software development, continuous delivery means the ability to get changes of all types into production, and into the hands of the end user, safely and quickly in a sustainable way. Come up with a repeatable process and methodology. For example, if you’re creating your weekly internal employee newsletter, you should have a predictable process in place for reviewing, perfecting, and sending out your content. We recommend using our email template builder so you can use drag-and-drop tools to easily build your newsletters. Book meetings with your execs constantly. You don’t want to be blindsided by new changes in company goals. For that reason you need to make sure that your execs are aware of what you’re working on and vice versa. Make your work visible to your team. Just as you don’t want to be blindsided by your execs, the rest of your team members should know if there are any changes in what you’re working on. We recommend you adopt a project management tool such as Trello, Asana, or CoSchedule while still having face to face meetings whenever possible. Here’s a list of amazing internal comms tools you should look at. Maybe add a couple of lines either here of after the T;DR to wrap up the whole article. A concluding paragraph. Assess your current situation–what worked? What didn’t? What needs to change? Base your goals on your company’s larger goals. Help guide that conversation too! Adopt an OKR system (objectives and key results) to ensure every strategy you undertake ties to a higher, measurable goal. Come with a list of what to measure and how. Get tools to help you gauge employee engagement while enabling you to make beautiful responsive emails — we do all of that and more, check us out here. Continuously update your plan throughout the year as goals and circumstances change. Do you want to see how your internal communications plan can be improved? We’ll show in a personalized demo! The TL;DR at the end made me laugh. We really do have short attention spans, don’t we?